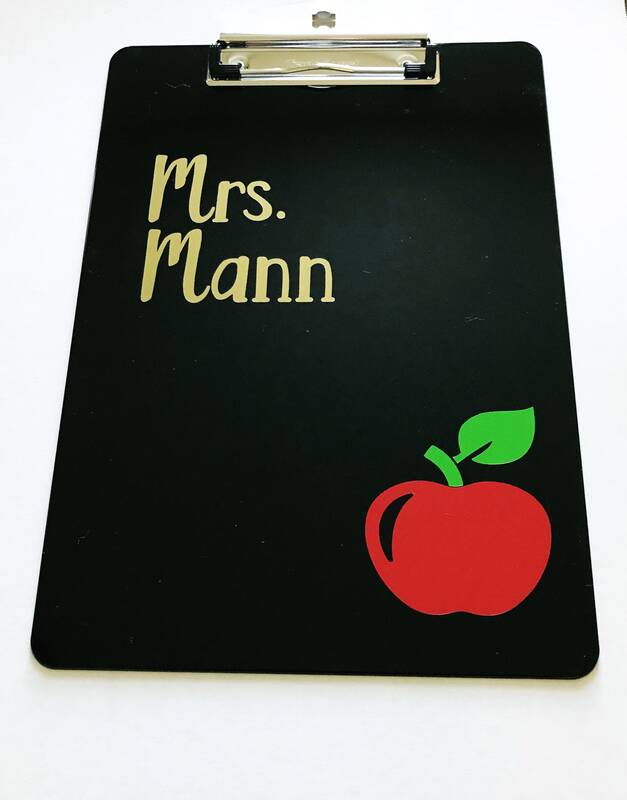 Personalized clipboard with teacher's name and apple. Perfect gift for back to school, the end of school, for the holidays and to say thank you for teacher appreciation day! 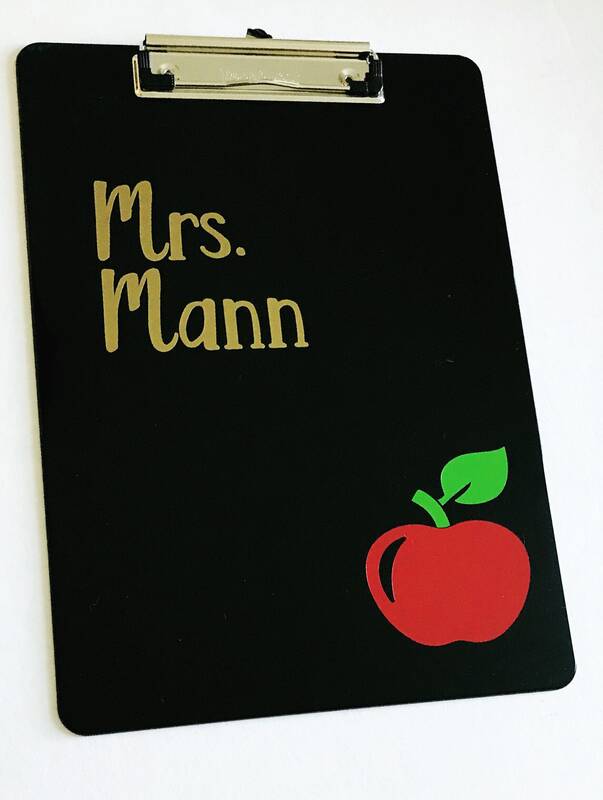 Show your favorite teacher some love with this personalized clipboard! Bulk orders are welcome and appreciated- please message us with your order details and for extra savings! This item is just as described. The seller was very helpful and took care of the small issue that came up. I would definitely recommend as a gift for a teacher or as a gift for yourself. Amazing and so well put together! Second clipboard I got! Love it so much! Perfect gift for teachers! Love this clipboard. Bought two as bridal shower gifts for fellow teachers and they both came in a timely fashion. The clipboard turned out great! It shipped so quickly also. I'm very pleased! The shipping was fast and the clipboard was beautiful! It’s the perfect gift for a teacher!